What is the Journey Outward? It is the response to our Journey Inward. Our Journey Inward prepares our hearts and our lives to live outside ourselves. Therefore, we are called to love our neighbor as ourselves, and to engage that call authentically and joyfully. We seek to love our neighbor not because we have to, but because we want to, out of the deep gratitude we have to God for our life in God. The Journey Outward is utterly dependant on the foundation of our Journey Inward; yet our Journey Inward is incomplete without an authentic Journey Outward. Covenant has a long history as a servant church. All of our servant-ministries have emerged from a vision of one or more members of the Covenant family. These visions have then been shared with the Covenant family, to discern if the vision becomes a call. There is no specific formula for this discernment. It is as unique as each individual or group of individuals. It might be said that these visions never come from the “top down.” Rather, they come from within. Within a heart, or a small group of hearts, or the entire congregation. Some visions become a call and a ministry, and some do not. All are challenged to seek and to risk and to dream.Please find below an overview of our current Neighborhood Ministries that define our Journey Outward. Like all of our neighborhood ministries, the backbone of our hygiene pantry is servants. Many are from Covenant Church, many are from our neighborhood, the greater Muskegon Heights and Muskegon areas, and our wonderful friends from Goodwill. All serve faithfully, with positive attitudes and energy, and work very hard on the last Tuesday of every month, where all our servants gather well before 11:00 am to prepare product for residents from all over Muskegon County. When the doors open at 11:00, we welcome and serve about 180 households, who receive hygiene goods, including shampoo, soap, deodorant, toothpaste, toothbrushes, bathroom tissue, feminine hygiene, hand lotion, and more. healthCARE has been a neighborhood ministry of Covenant Church for over 25 years. Wilmer Cullen, healthCARE’s dedicated and enthusiastic director, is a bridge builder between the poor and health care providers throughout the Muskegon area. 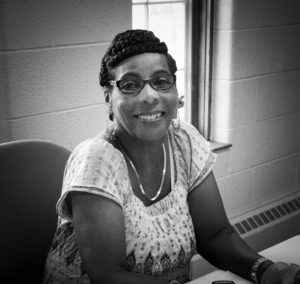 She has tirelessly served our community as a health care educator in churches, barber shops, libraries, schools, and senior care facilities. Their Mission Statement: “In response to Jesus’ command to His disciples, ‘Go… heal the sick…’ (Matthew 10:68), we seek to improve the health status and health education of minority groups and those with limited resources. We strive to be a catalyst within churches and neighborhoods by identifying, training, and supporting Christian healthCARE workers; the healthCARE workers will actively seek those in need and be health advocate for them by educating, counseling, and making referrals to existing community resources. The Pathfinders is an after school program “encouraging young people to find their path in life.” A ministry begun by Temple United Methodist Church 12 years ago, The Pathfinders now meet after school, and throughout the summer, at three locations – Temple UMC, John Wesley AME, and at The Barney Maffett Center. Kids gather for tutoring and help with homework, with job skills, computer and technology training, fun, games, and refreshments, field trips, and a safe place to hang out with friends. If you would like to know more about The Pathfinders, or volunteer, you may contact their office at 231-733-1065. The Barney Maffett Center began its life as Barney Maffet’s Café at the corner of Barney and Maffett streets in Muskegon Heights. In 1997, Covenant Church’s Board of Deacons purchased the former Boelkins Grocery Store after 80 years of business. Rumor had it that someone wanted to buy the building and turn it into a liquor store. So our Deacons immediately paid five hundred dollars in earnest money, and the congregation completed the purchase soon after. Our deacons and other church members then spent six months in prayer and action to discern what might be done with the space. Considerations included reopening as a low-cost grocery store, to have additional storage space for church and ministry needs, as additional office space, or as a small café. Why a café? Because that’s what our neighbors wanted after surveying the residents all around Barney’s. Barney’s, after a full year of renovations by church members and friends, opened for five years of ministry in 1998. Barney’s mission, to be “a beautiful, character-filled coffee shop where the gospel is gently shared through kindness and service.” In 2003, Barney’s closed as a business, but ministry lived on there. 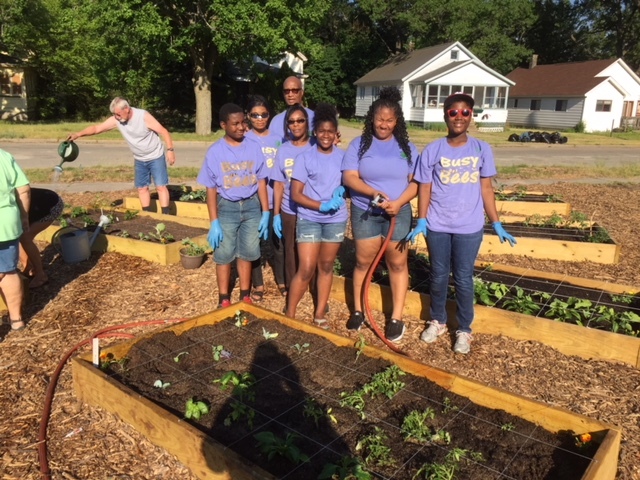 Since then, The Barney Maffett Center has still been a bright spot for ministry in our neighborhood, as a store front church, as a meeting place for an after school YMCA center, and, for two years, as a cafe and computer center for a federally funded program called Weed and Seed. The Center is now home to one of the three locations for THE PATHFINDERS! Our dear friends at Temple United Methodist Church had a vision a number of years ago. It was to bring as many area churches as possible together for a great purpose: to feed the hungry through a ministry called Supper House. Covenant Church has had the privilege of being one of the 20 or 25 partner churches in this grace-filled endeavor ever since. Every fourth Thursday of each month, a group of 8 to 15 servants from Covenant meet at Temple at 3:30 for prayer, then serve a delicious meal in a restaurant setting to 80 to 150 people. Those who are served are treated with dignity, joy, and respect. They are seated and served, just like a nice restaurant. There are tablecloths and, of course, GREAT service! The vision and power of this ministry initiated and maintained by Temple UMC cannot be overstated. We are so thankful for their faithfulness and ecumenical spirit. 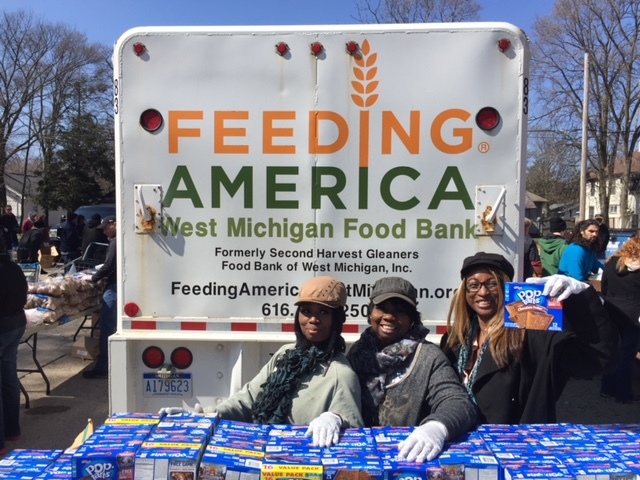 Periodically, Covenant Church partners with Feeding America and Muskegon County Cooperating Churches to host a Mobile Food Truck. “Fresh, healthy food tends to have a short shelf life. 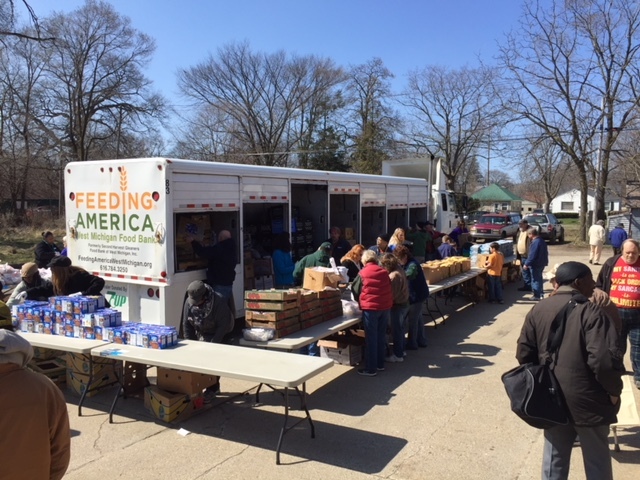 To make sure it gets to our clients as quickly as possible and to increase the amount we were able to distribute, Feeding America West Michigan developed the Mobile Food Pantry model in 1998. 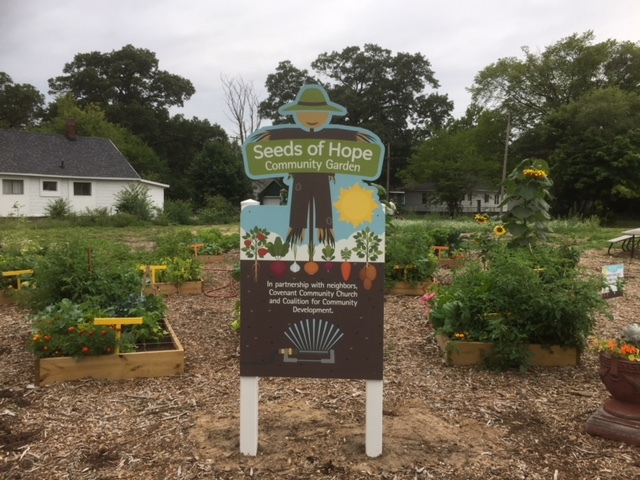 Seeds of Hope Community Garden is a collaborative effort among neighbors, Covenant Community Church and the Coalition for Community Development with support from the City of Muskegon Heights, other groups and individuals. 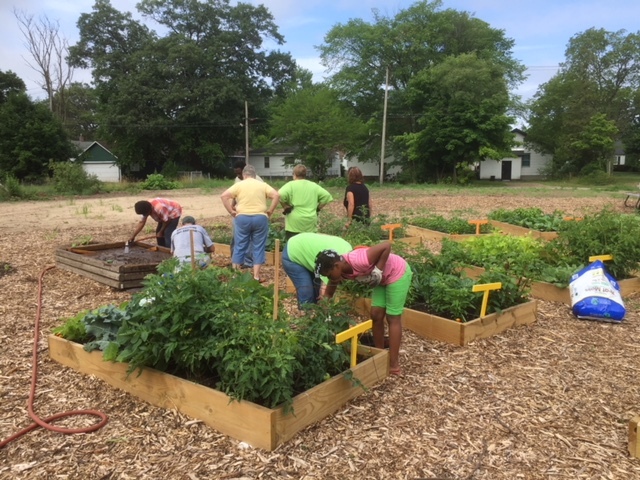 It was developed in response to our neighbor’s desire for a community garden and beautification of the neighborhood. It also is a resurrection story for the abandoned land. In 2017 two city lots next to the church were cleared and leveled. Fourteen raised beds were built and filled with garden soil and beds were filled with luscious plants. A wild flower garden brought color and beauty to the space. A pumpkin patch was grown for the neighborhood kids. Beautiful signage was provided by a church member. Neighbors and members of Covenant bought or rented beds for the season (April-November). Two weekly work sessions were held to provide coaching, education and encouragement. Friendships formed as the garden provided a gathering space for gardening, fun and fellowship. The city manager sees our garden as an example for the community so we will support other gardens as they develop. Plans for the future include adding 12 more beds, lighting, fencing, a shed and a pavilion. Any additional support for the garden is greatly appreciated. Every May, Covenant holds a grand and glorious auction, which covers all of our financial commitments to our Neighbor Ministries, including Hygiene Pantry, Supper House, The Barney Maffett Center, and Seeds of Hope Community Garden. We are deeply grateful for the vision for this auction many years ago, enabling us to firmly support these ministries financially. For more information on our upcoming auction, please call the church office at 231-737-1491! We're a Community of Hope, Change, Love, Faith, Teaching, Family, Inclusion, Passion, Diversity, Prayer, Fun and more!